May the proverbial Not Guilty cafe sprout everywhere | Jon Katz, P.C. 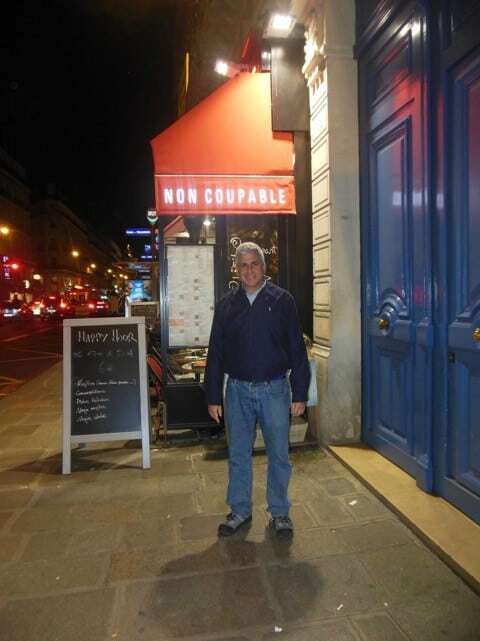 During our current vacation in England and France, we ate at Paris’s Non Coupable/ Not Guilty cafe (pictured with me here). May thusly-named cafes sprout up next to every courthouse! I will be back at my office this Thursday, December 31. My staff is working this week while I am away. I thanks them deeply for keeping our firm running smoothly while I am away. A cafe like that sounds like a great way to celebrate a Not Guilty verdict. Should definitely be something that comes over here!